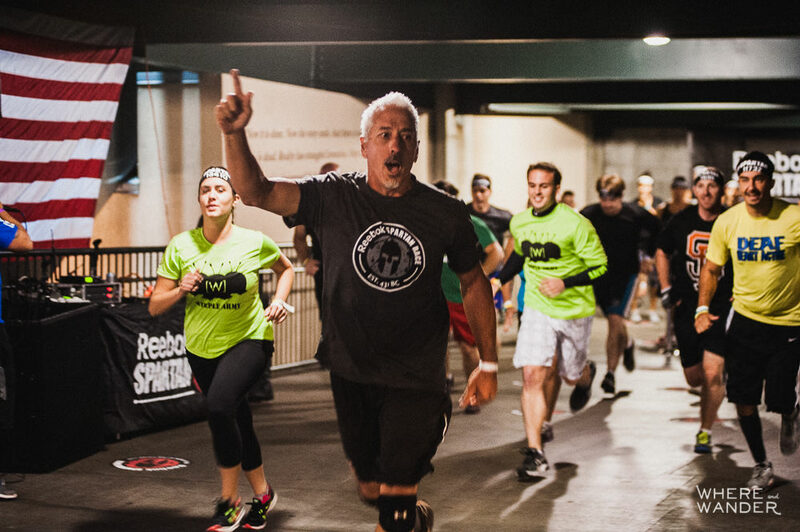 In 2013, Spartan Race introduced the Stadium Sprint into its fold of events. 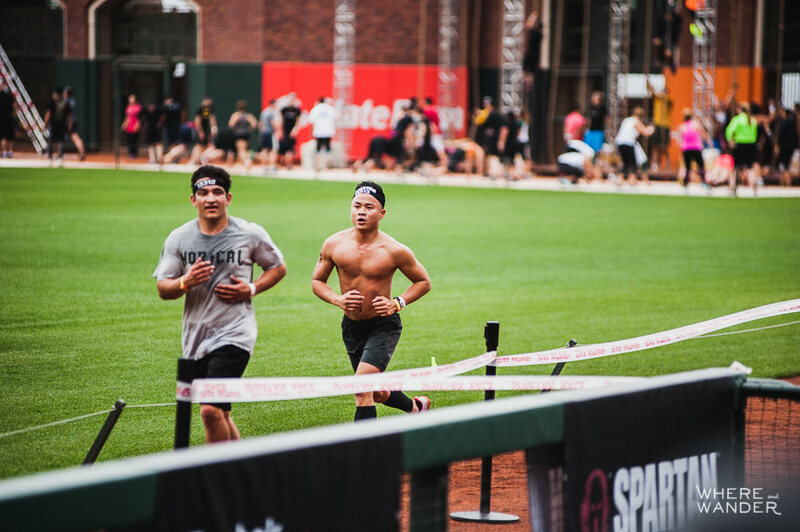 Removed from the trails and mud, the Stadium Sprint focused on utilizing the space, seats and stairs of large sporting stadiums like the Citi Field in New York, Citizens Bank Park in Philadelphia and Fenway Park in Boston, as the terrain for their 3-4 mile sprint distance races. 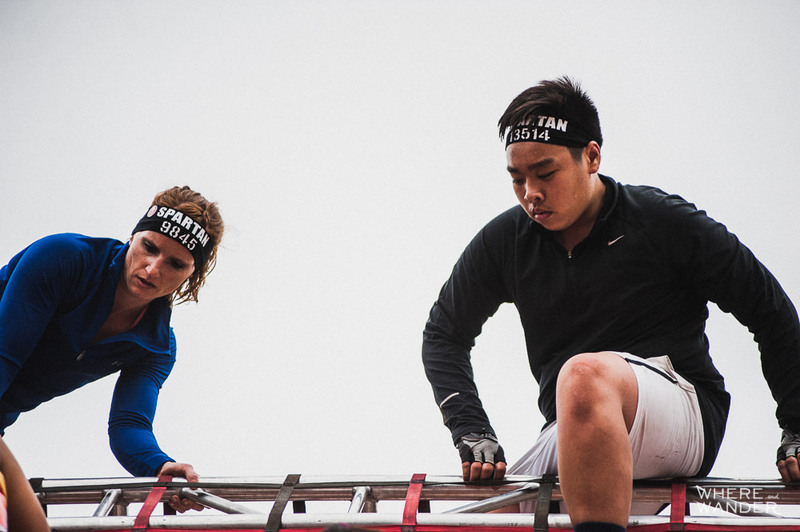 I had grown accustomed to climbing, crawling and clawing my way through mud and dirt at these races, so I had my initial reservations about a Spartan Race that didn’t require me to bring a garbage bag for my wet and dirty clothes. 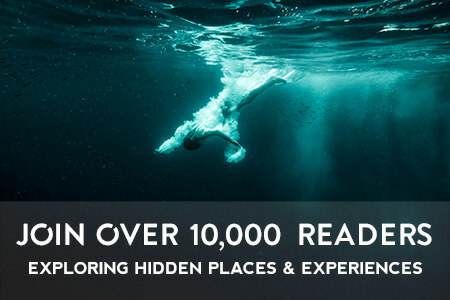 But who isn’t up for a change of scenery every once in a while? 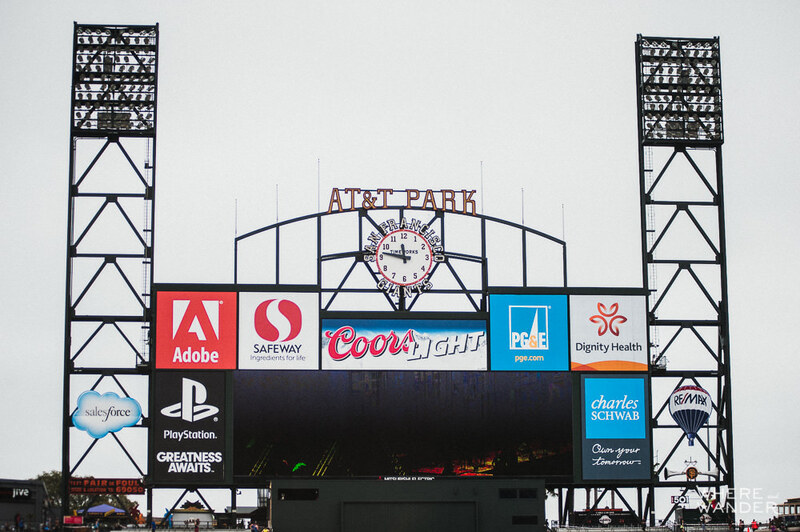 There was also no way I was going to skip out on a race right in my hometown of San Francisco. Like the last few races, I opted to skip the Elite Heat so I could photograph the racers and then run in a later heat myself. Funny enough, running alongside these guys and cutting ahead has proven to be a great warm-up before my own race. 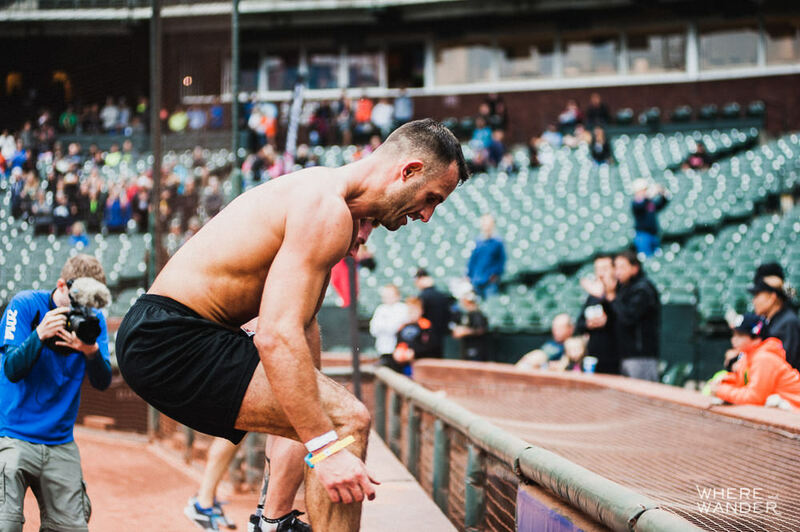 The Stadium Sprint starting line was different from your average race. 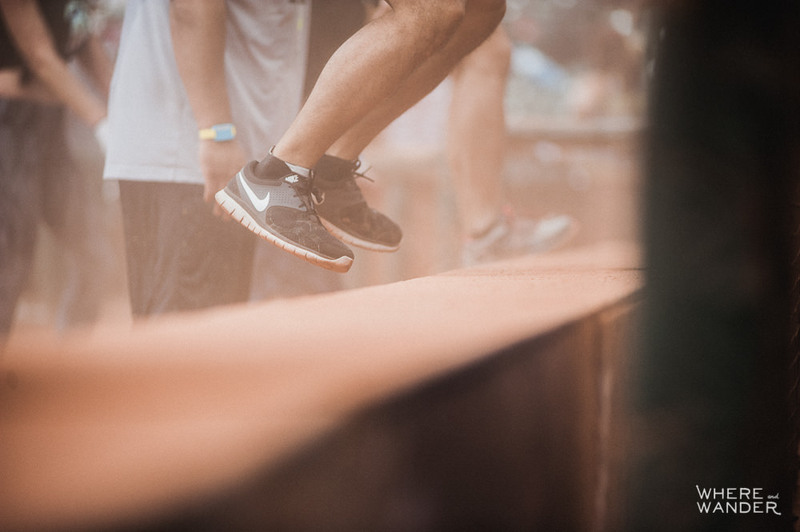 Runners had to climb over a short wall and then fill up the open incline ramps connecting the different levels of the stadium. A line-up of circular starting “pads” with the Spartan logo and tagline helped to guide groups of 20 to the starting position. These smaller groups then were released every 60 seconds to help avoid a bottleneck at the beginning. 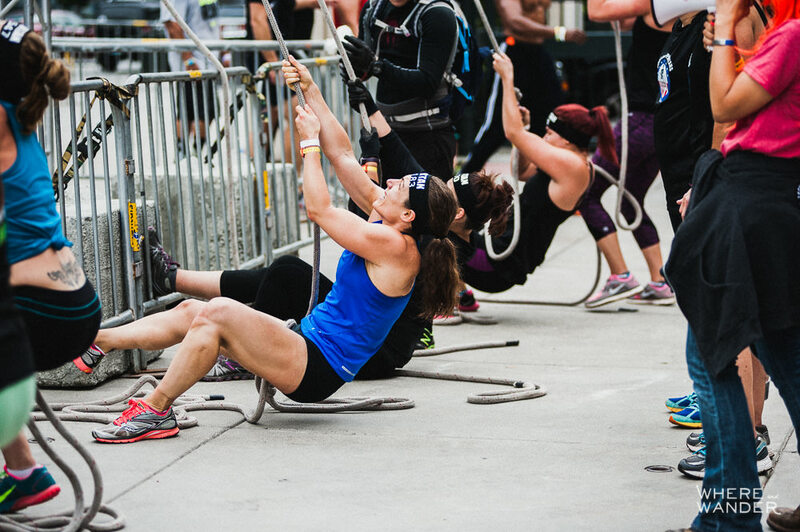 I missed the start of the Elite heat, so I raced over to the first “outside” obstacle on the main deck. From there, I could see the leaders running across the seats of the top Club Level. 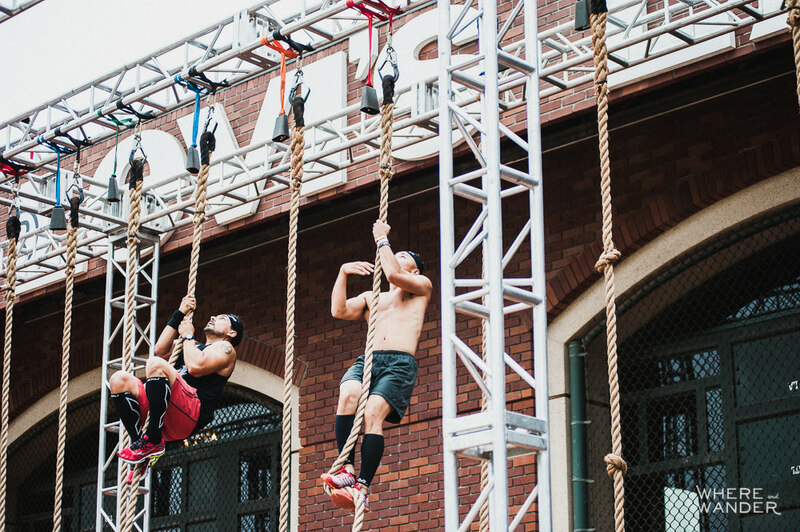 I recognized Spartan Pro team members Miguel Medina, Alex Nicholas, and Christopher Rutz in 2nd, 5th, and 8th place respectively. Leading the pack was Ian Deyerle with Brandon Dupont in 3rd. This was to be the order for most of the race until the end. 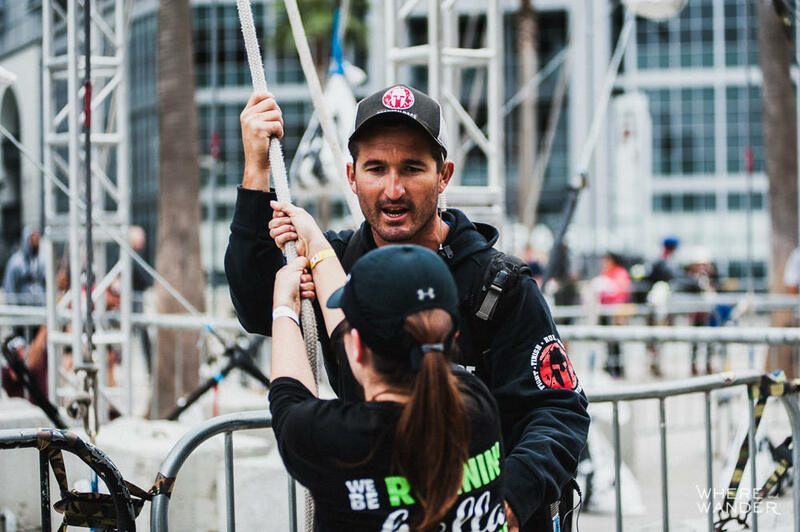 In 4th was Ben Greenfield, who eventually crossed the finish line 2nd, but was DQ’ed for missing the Cargo Net and Rope Climb. 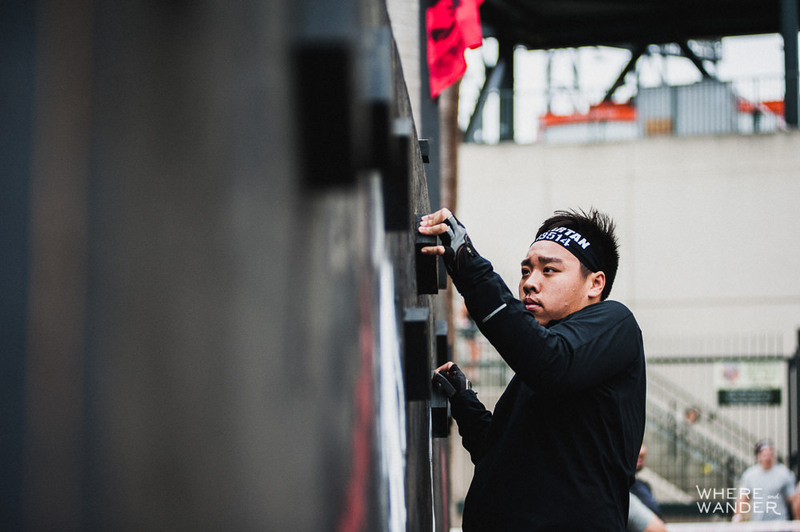 Racing towards the 7 foot wall, Ian was less than a second ahead of Miguel, who was following him step for step through the traverse wall, monkey bars, rope climb and cargo net climb. Brandon was about 30 seconds behind. 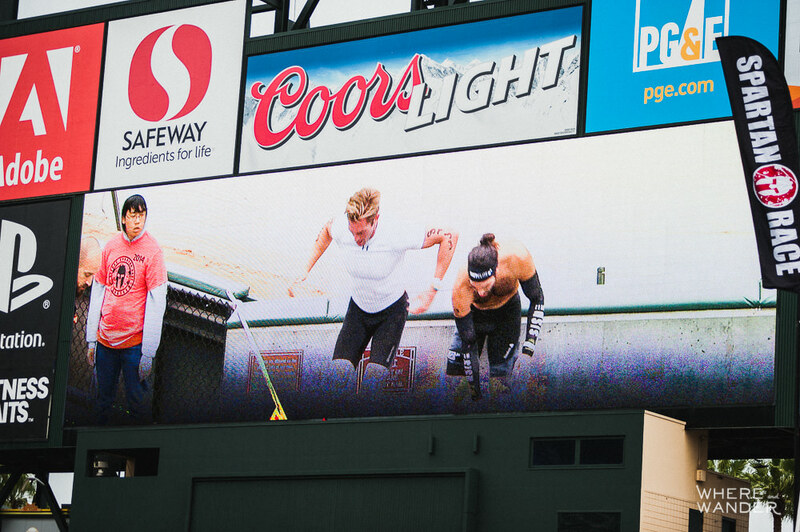 They arrived nearly side by side to the Hobie Hop and onto the giant screen (side note: awesome to see live footage of the race on the giant screen). At this point, I see Christopher moving ahead into 7th place, while the earlier order remained the same. The race continued back inside the stadium, where they disappeared for a while. 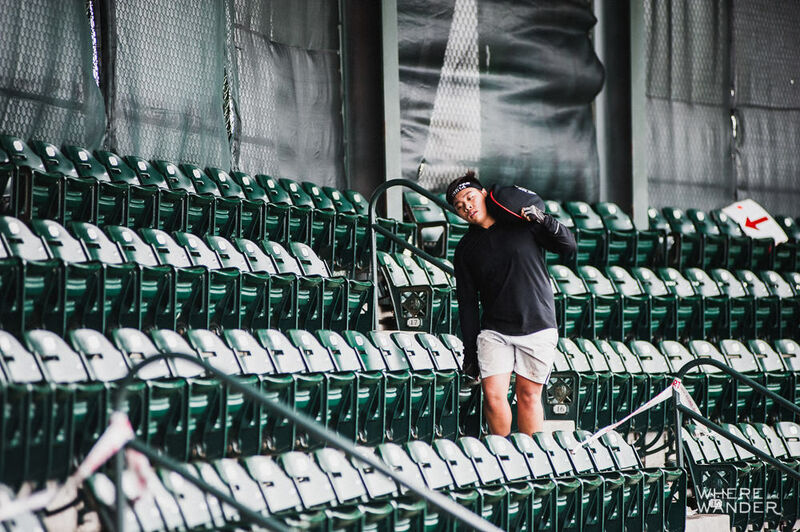 When they emerged on the 200 level, Miguel had taken the lead and appeared to be sitting down, standing up, shifting over and repeating this across an entire row of seats. That was the obstacle! 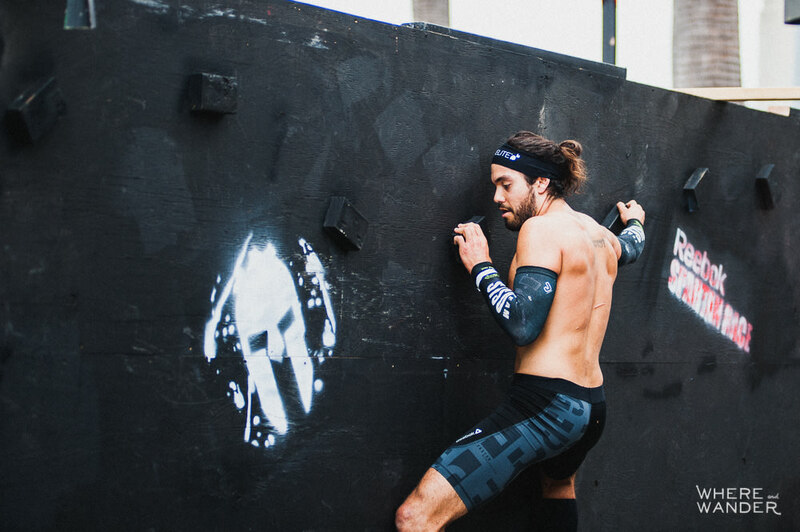 Talk about a quad burn and a creative use of the stadium for an obstacle. Ian, Brandon, and Ben were seconds behind while Alex and Christopher were now within a minute of the leader. It was anyone’s victory at this point. 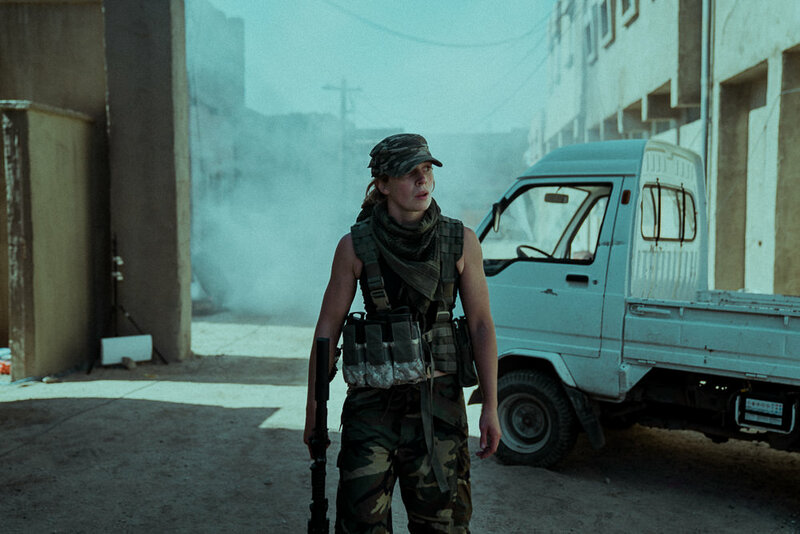 Back down on the field, Miguel was the first to emerge and headed up towards the main deck again. There looked to be some confusion and he started to climb over the seats trying to figure out where to go next. I overhear an “oh, sh*t…” and everyone realizes that he’s not going the correct way. 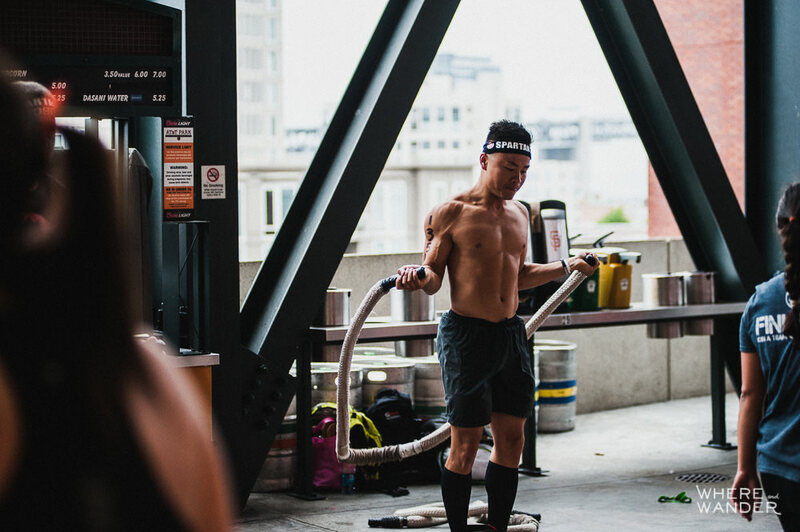 By the time he’d figured it out or was directed (unclear what actually happened) to the jug carry obstacle, Miguel had dropped to 5th behind Brandon and Alex. Ian had done the same thing, but recovered more quickly to stay in the lead. With the path cutting through a row of seats and up and down the stairs, there wasn’t much room to pass, but Alex took a lower row and squeezed ahead of Brandon. A couple of minutes off the front group, Christopher continued to push to stay within striking distance. 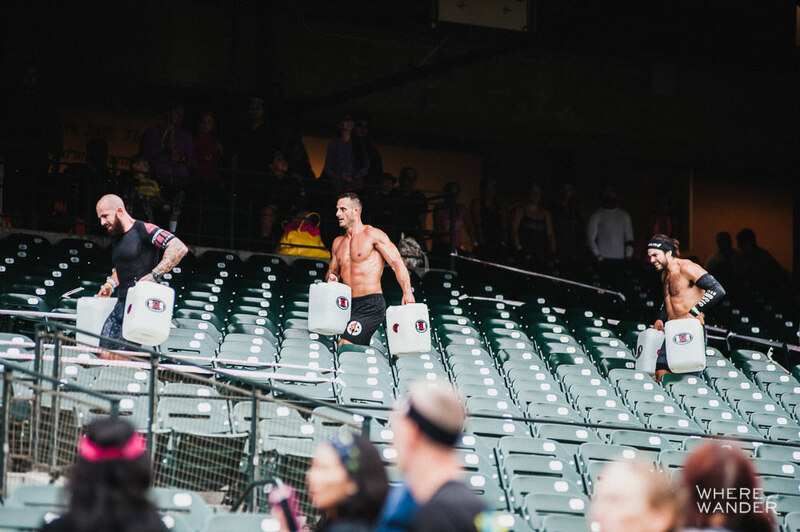 With the end in sight, Ian was the first to return his water jugs and sprint towards the final obstacle, 25 box jumps. 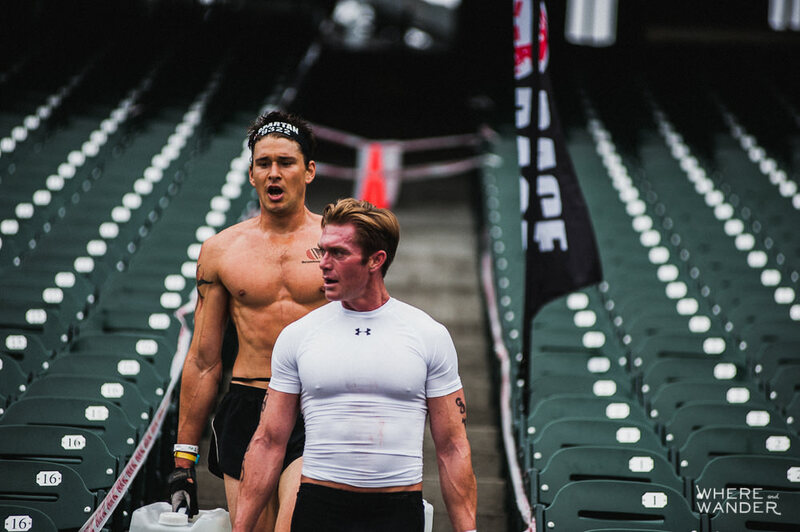 This was where I was blown away by the fitness level of the top guys. 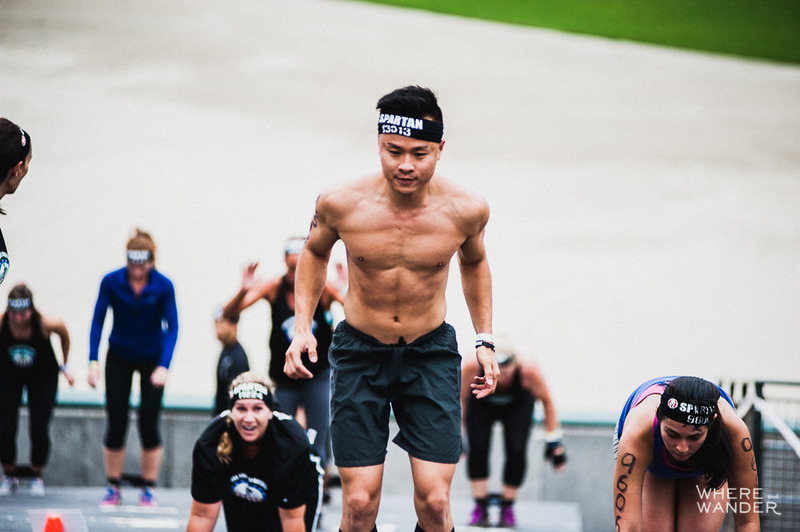 Despite arriving 3rd, Alex powered through the 25 box jumps like a man with fresh legs doing a WOD drill and madly dashed to the finish line with a time of 32:34. Ian finished next, followed by Ben (DQ’ed), Brandon and Miguel. Christopher arrived a couple of minutes later, the 6th man across the line. In the end, it was Alex in 1st, Brandon in 2nd and Ian in third (dropped a place after a 10 second penalty for shuffling his feet during the Hobie Hop). In the women’s elite heat, which I couldn’t catch since I had to get to my own heat, Cassidy Watton finished in 37:17 followed by Raegan Chambers and Jolene Wilkinson. I was now about 15 minutes late for the 8:45 start, so I excused my way through the crowd and made my way to the starting line. No matter how many times I’ve done it, I just love how you get that same rush at the beginning of every race when they begin the countdown. 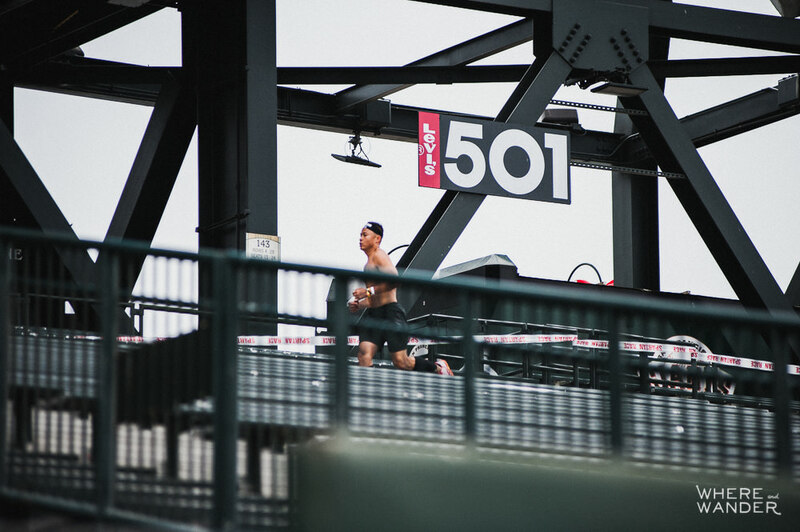 My turn to take on the stairs of AT&T Park. Despite only just getting my new Inov-8 Road-X 233 shoes yesterday, it felt very nice on my feet and I sprinted off the starting circle. 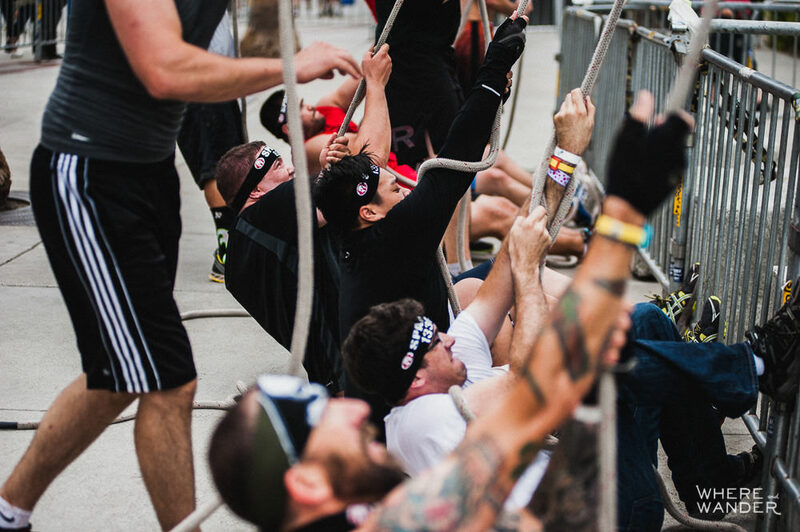 Right away, we are slowed down by our first obstacle, a set of bungee chords blocking the incline ramp that you had to bear crawl under or jump over. 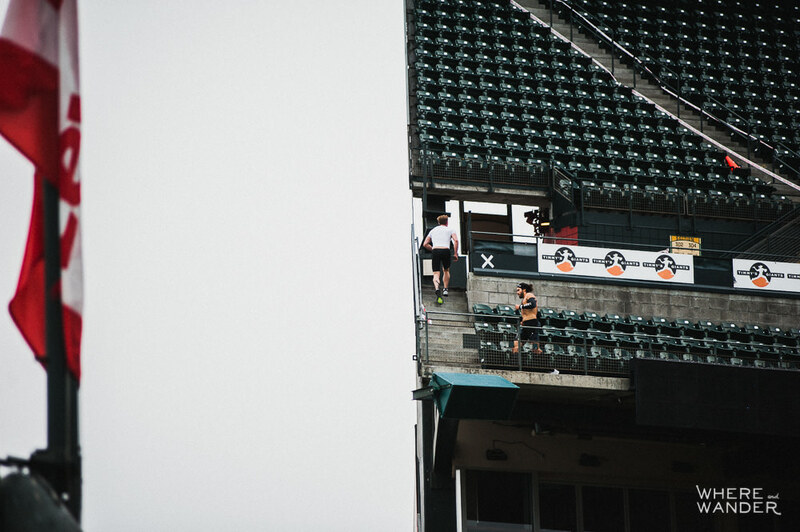 This obstacle was repeated all the way to the top of the stadium. 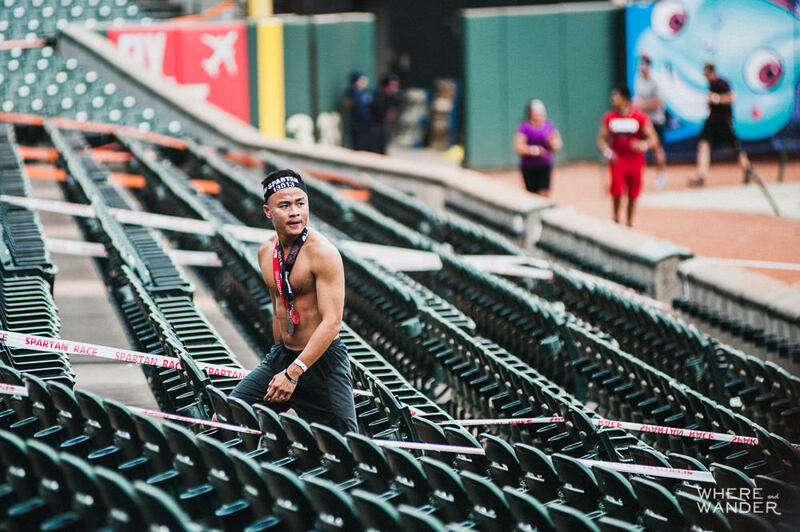 Although the same could be said for any Spartan Race, I felt the need to train specifically on stairs and inclines for the Stadium Sprint since it was clear that we would be going up and down one way: stairs. Out onto the club section, the path was clearly marked and taped off forcing us to run down, across, up and repeat. There was a lot of this, so you were either going to hate it or really hate it. With the tight space across the rows of seats, I could only try to pass as many people as possible up the down the aisles where it opened up a bit. This slowed me down a bit, but it wasn’t as bad of a bottleneck as I thought it would be. If it got too jammed, I could have jumped over a row to pass and join back up where it cleared off. 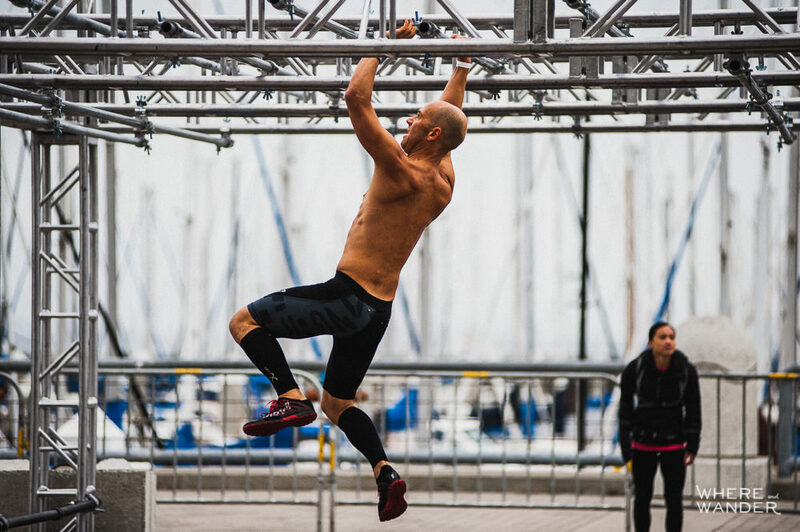 On the main deck, I quickly get over the 7 foot wall, the traverse wall and the monkey bars. 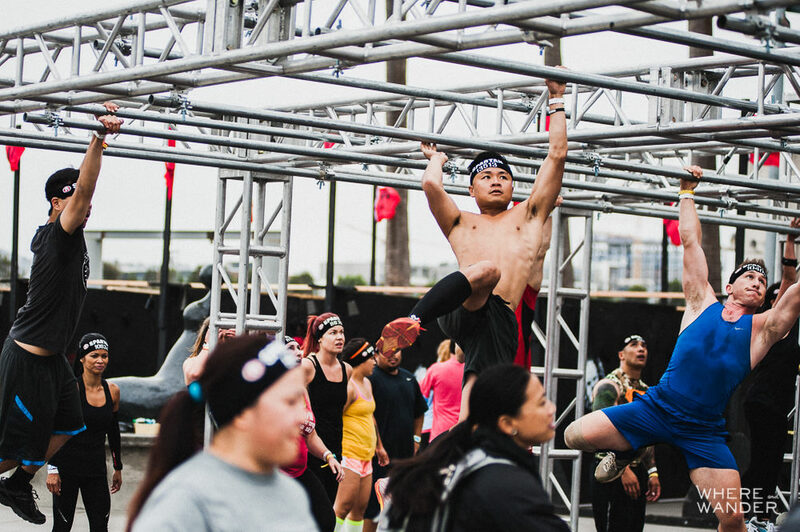 The latter two are some of my favorite obstacles requiring good balance and grip strength. Getting down onto the field level, I get to the rope climb. There must have been at least 8 straight ropes for that guys and 8 knotted ones for the girls and I was quickly able to find a free rope without delay. 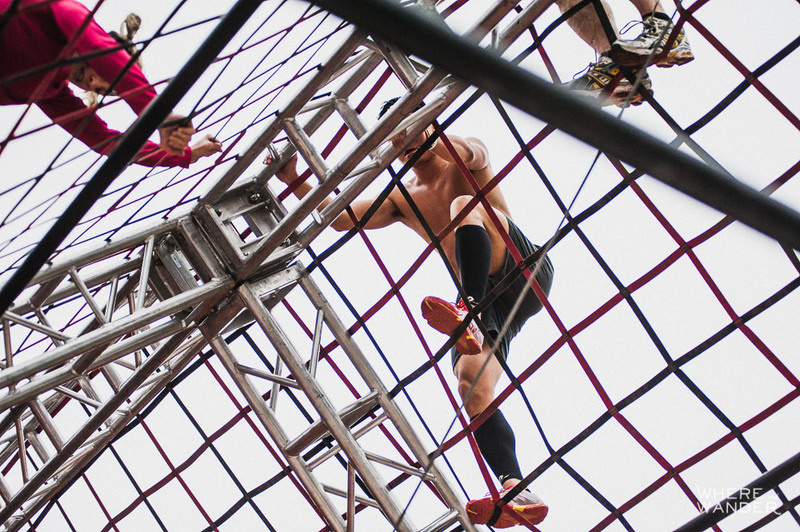 The thicker rope and a lack of knots was a little different from the normal rope climb over the water pit. After tapping the bell, I dropped down and got over the cargo climb. On to the Atlas Carry. 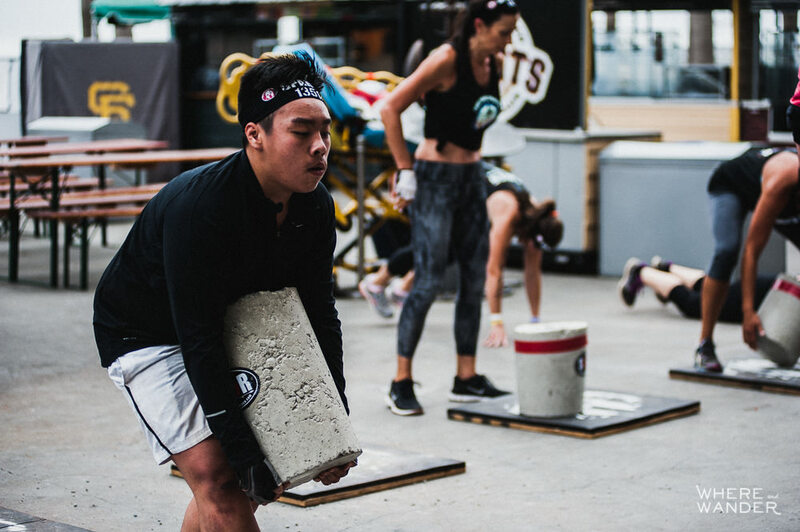 This is always a backbreaker of an obstacle for the smaller guys where you have to carry a 70-80# concrete block from one side to the other, do 5 burpees and carry it back. 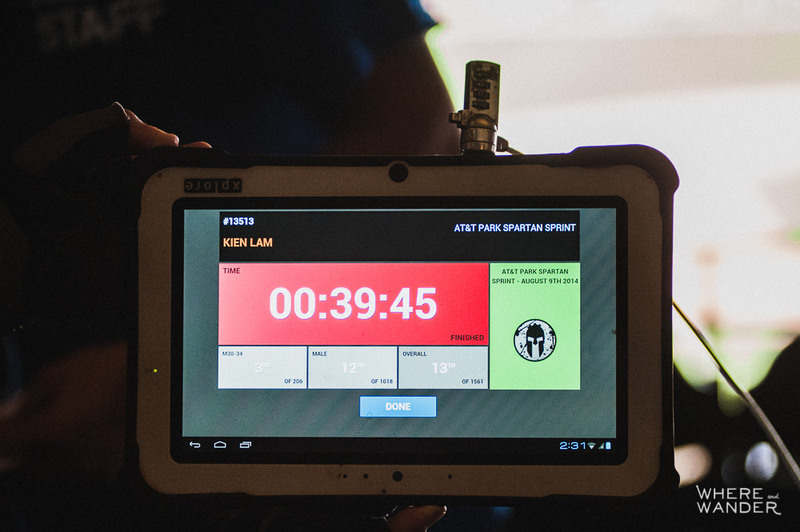 Train the core Spartans! Back out onto the outfield bleachers, I was given a large rubber band to tie around my ankles and had to do the Hobie Hop up, across, and down the section. 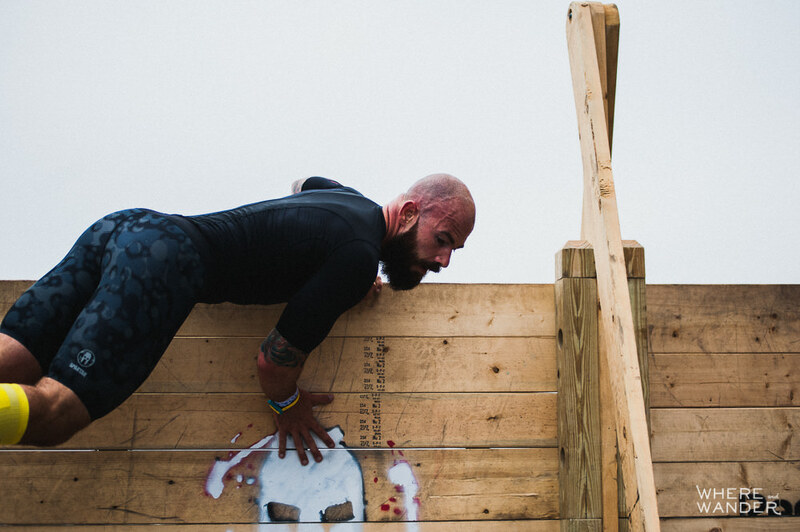 At the military hurdles, I carelessly hopped over and nearly face-planted save for a last second recovery. I made sure to get a bit more clearance over the last two hurdles. The path went off the field again and through a small tunnel before heading back up the stairs. Yea, we were NOT done with those. 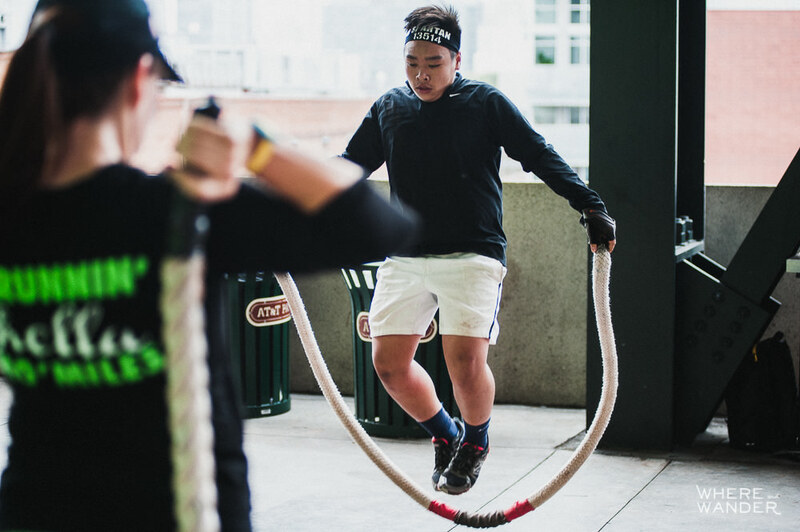 Two levels up, we exited and started on 50 heavy rope jump ropes with a rubber band wrapped around our ankles. 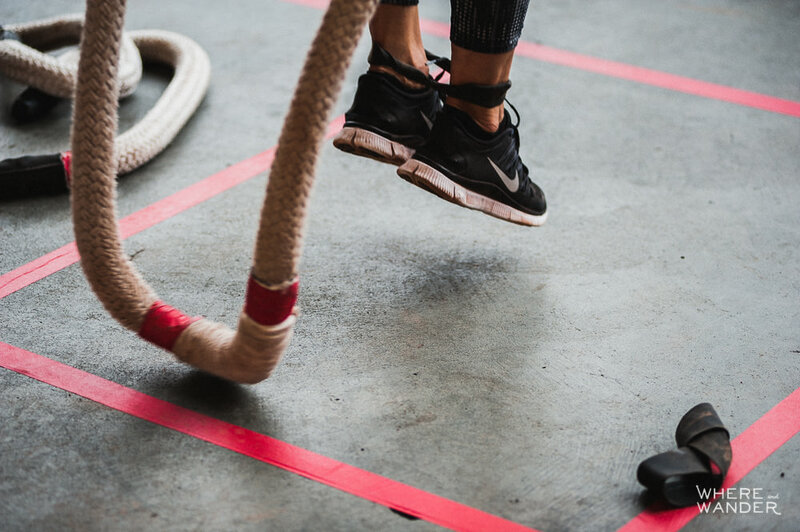 If I didn’t have to hold onto that heavy rope, I could have easily counted with both hands the number of times my feet caught the rope and I nearly ate it. Needless to say, I was happy when I got to 50. Back out on in the seating area, we were instructed to sit down on every seat, squatting and rising across an entire row of seats. This was called the Hawaiian Squat, which ironically conjured up a more pleasant thought than the actual task at hand. 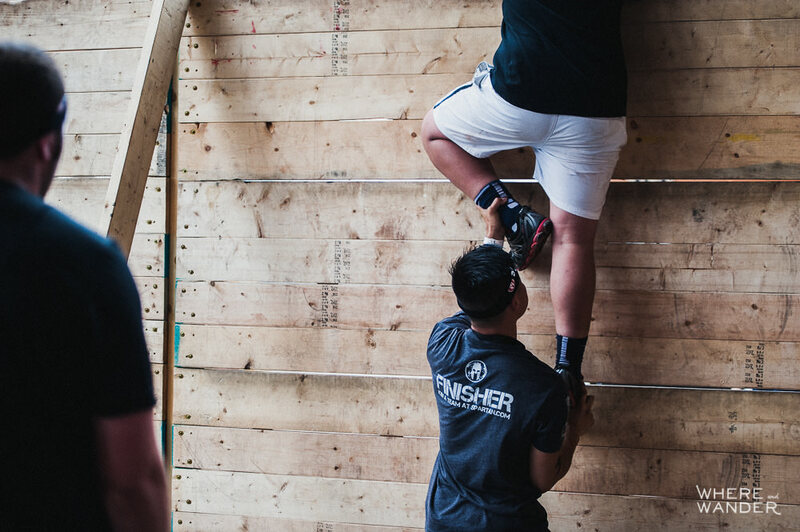 Up to the top level, we did some more up/down/across traversing, but this time it was combined with a 40# sandbag carry. 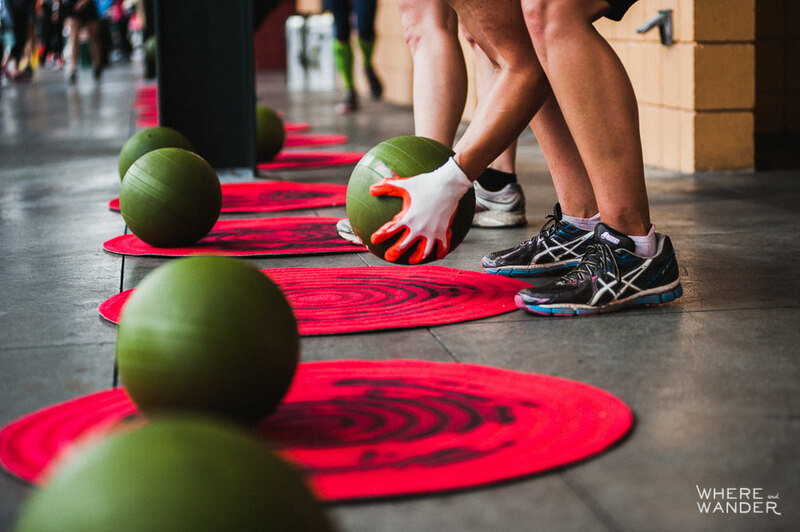 Inside, we came to another strength and repetition obstacle: 25 ball slams. Who doesn’t love to pick up a 25# ball and slam it into the ground repeatedly? I run back down the stairs and at this point it feels like deja vu since we’ve already run up or down those same set of stairs 3 times. Just outside the stadium was the Hercules Hoist. 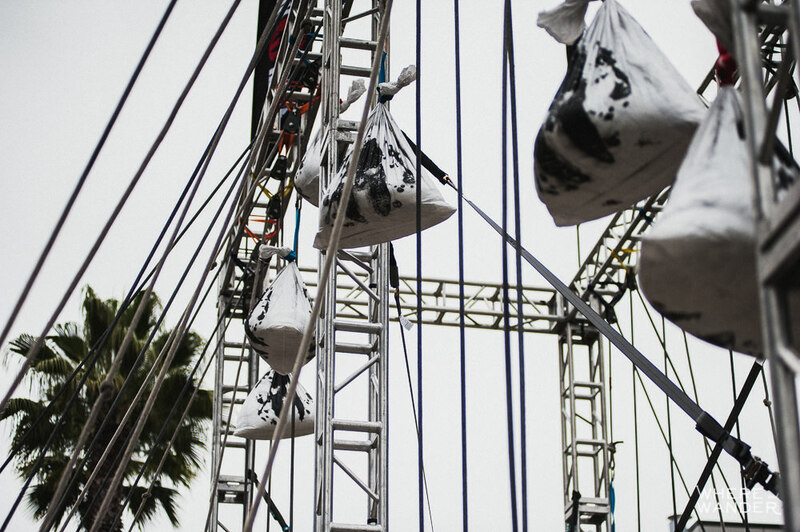 I weigh 140#, so trying to pull down on a rope attached to a 110# sandbag was never going to be easy, but the thought of 30 burpees and losing that precious time in a Sprint distance race was enough motivation for me to find the right balance and center of gravity to hoist the sandbag up to the top. As I was heading back inside, one of the volunteer yelled out that there was only 3 obstacles left. 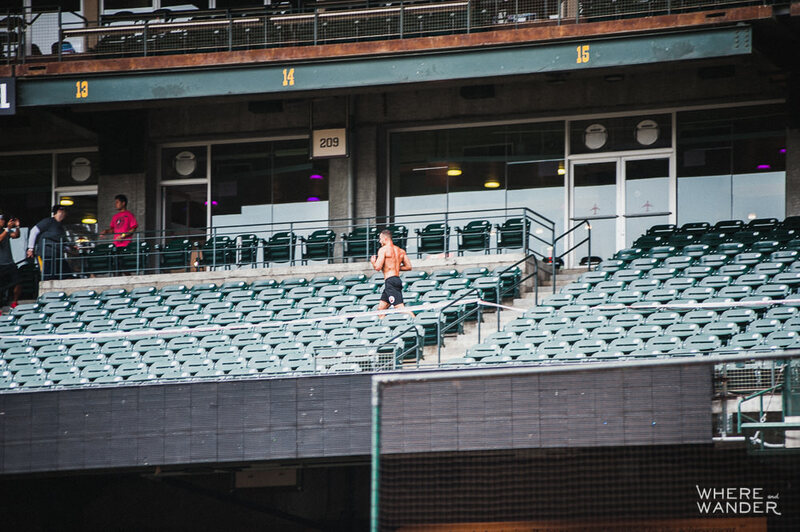 I ran back into the stadium like a madman passing everyone who was still collecting their breath from the hoist. 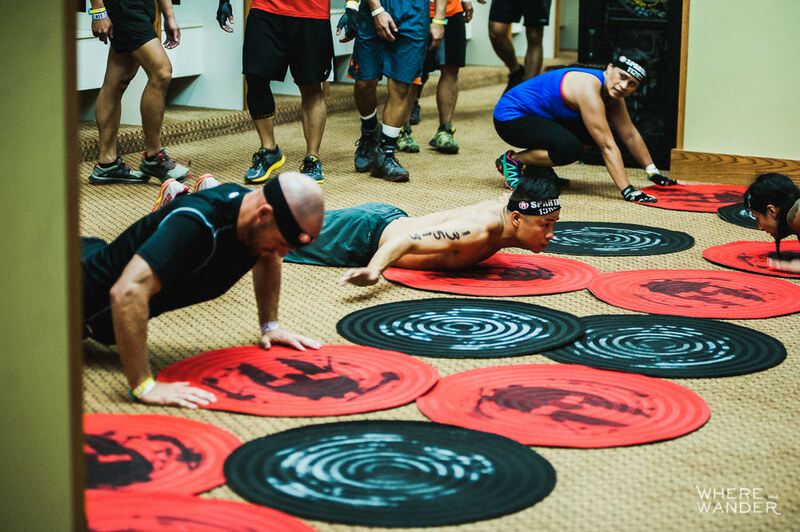 Inside the visitor’s locker room, we dropped and did 25 hand release push-ups before running back onto the field for the penultimate obstacle. The Jerry Can Carry. Here, the guys were instructed to grab two jugs of water and do a snaking path up and down the aisle and through the seats. 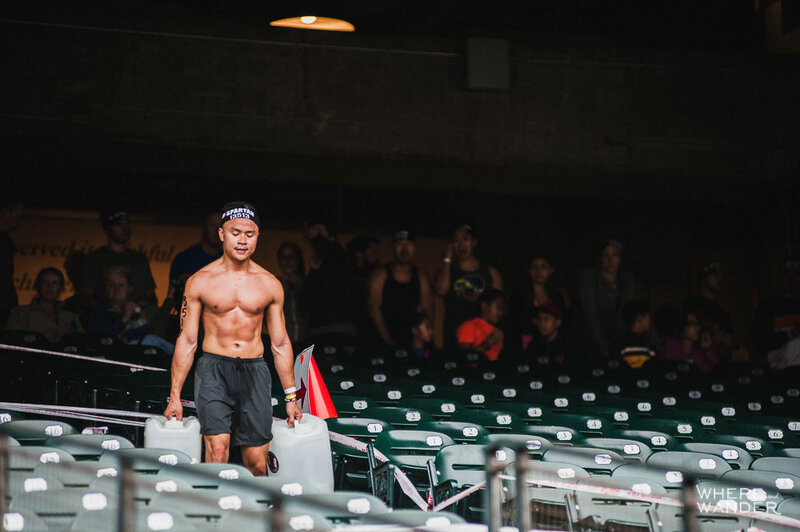 As much as I worked on my farmer’s carry, I had to drop the jugs a couple of times to give my grip and lungs a break. 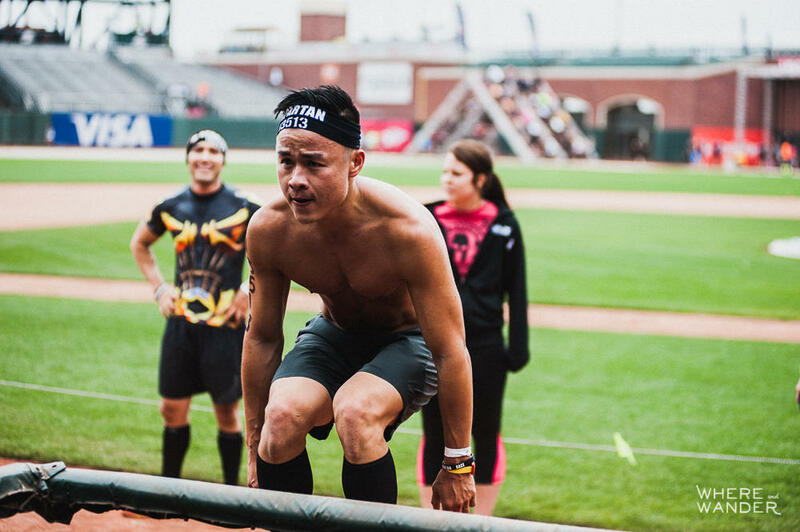 With the finish line in sight, I dropped the jug to its original spot and sprinted down to the box jump. Despite all the stairs, my legs were still fresh enough for the jumps. 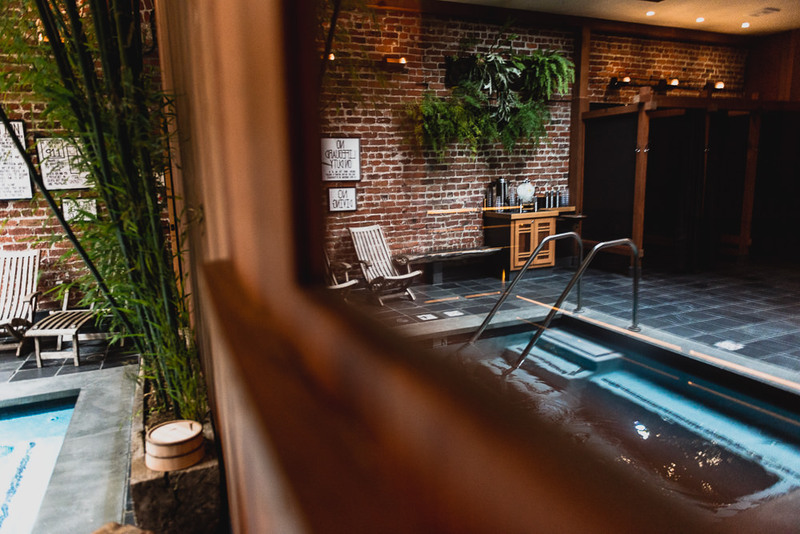 I could only wonder as I counted down how horrible this obstacle would have been if you had started to cramp up. I immediately buried the thought and loudly counted out the last 10 before. And like that, it was over. It felt like my fastest sprint and when I checked my time, I was correct. I surpassed my expectations and finished in 39:45 good enough for 13th overall and 6th in the Open. Considering the bottlenecks along the way, I couldn’t have asked for a better result. With my adrenaline still pumping, I grabbed my camera and shadowed my brother through another lap of the course to take some photographs for him. 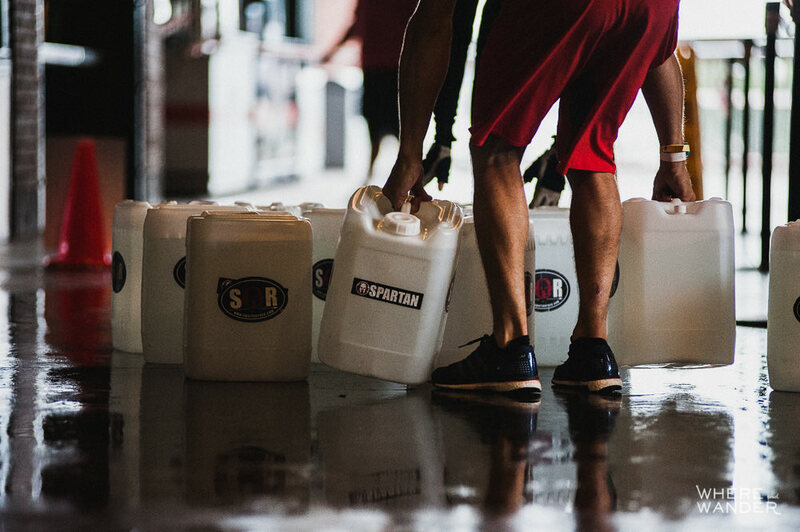 The gold standard when it comes to competitive OCR races, the Spartan Race is a well-oiled machine and a benchmark for the industry. It’s the reason I return time and time again. Photography. Holding off on full judgment here. 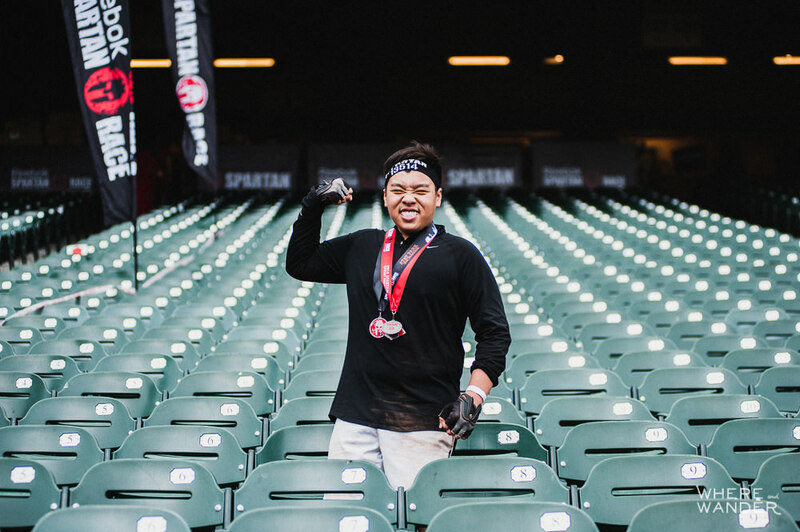 I didn’t notice as many dedicated photographers on the course, but there are lots of photos posted to the Spartan Race Facebook page, so it must have happened. I’ll reserve judgment when the link to the photos are sent out. My final thoughts on the idea of the stadium sprint. 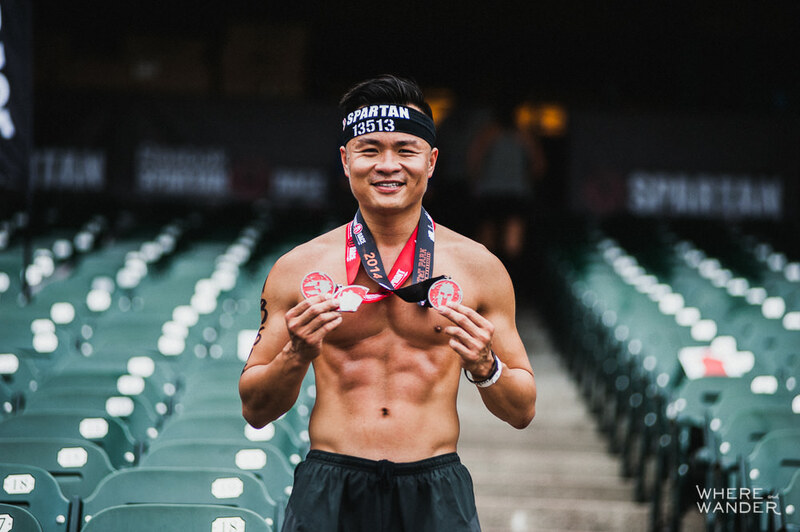 While was definitely weird to run a mud-less Spartan Race without a spear throw, without a fire jump and without gladiators, I LOVED IT. 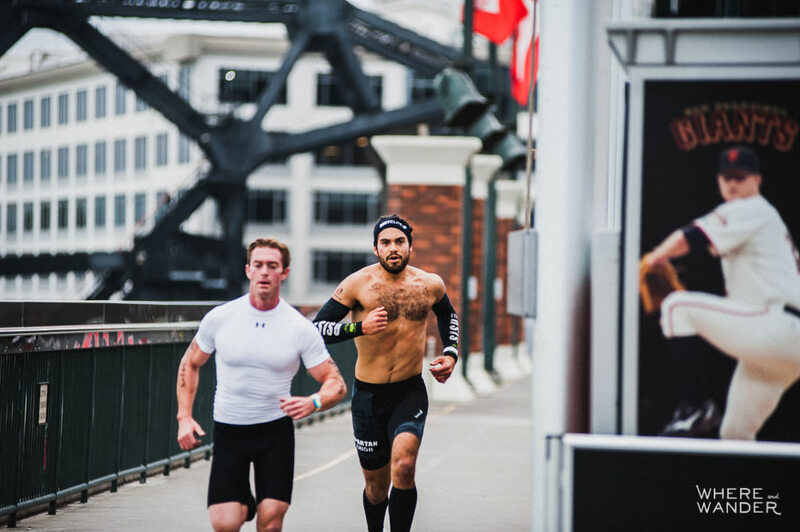 While I did experience a bit of bottlenecking at times, the tighter spaces and constant ups and downs and turns removed some of the advantages that a natural 5 minute miler would have over other racers. 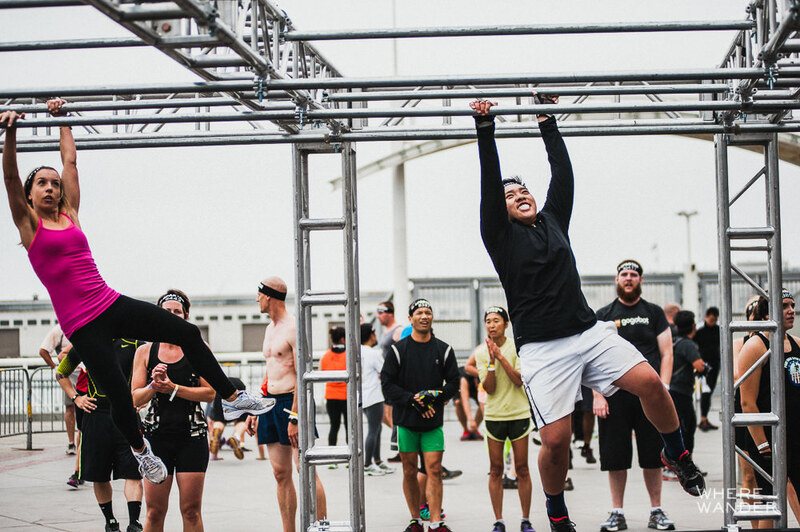 Coupled with the sprint distance of 3-4 miles, this truly made it anyone’s race. 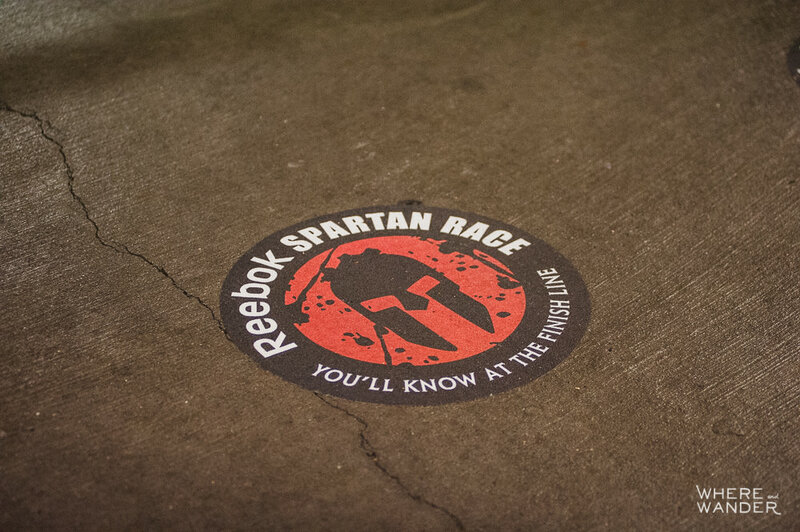 I also liked that a Spartan Race in San Francisco meant it was in San Francisco. 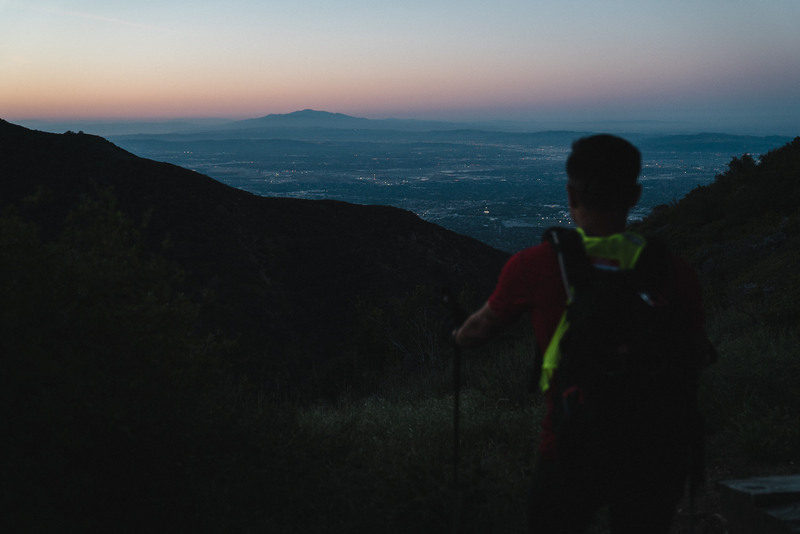 Often times, the venue and terrain required for an OCR race can only be found somewhere 60-90 minutes out from the city where it’s being advertised at. 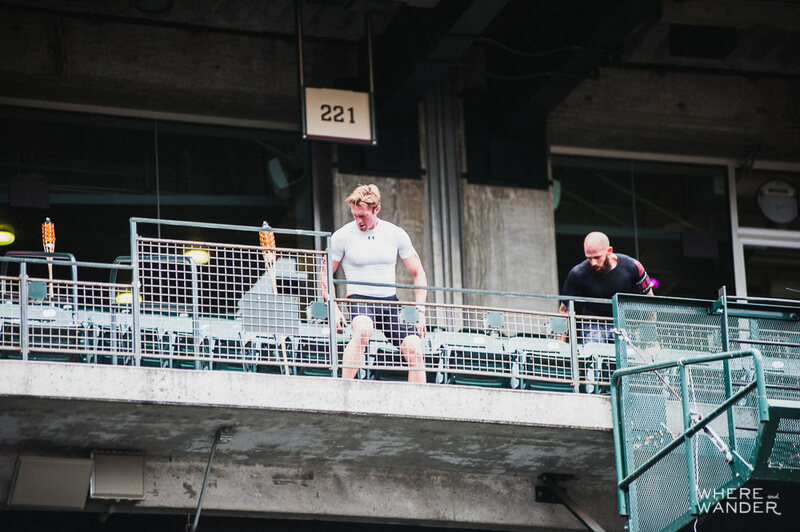 Considering my results, I’m learning to love stairs and I can’t wait for the next stadium sprint. As always, I can’t bring you these cool photos of me racing without someone coming along and shooting for me. 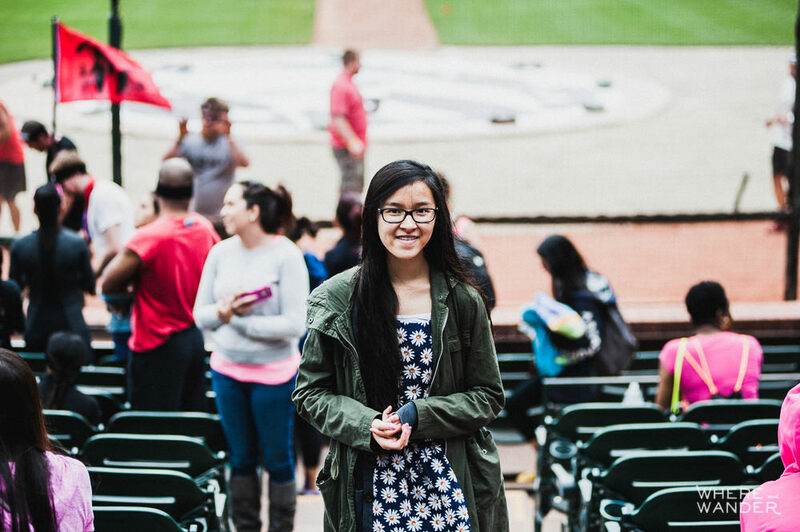 A special thanks to my 13-year old cousin, Katie, who came up to San Francisco and woke up at 5:30 am to get out to AT&T Park to shoot for me. 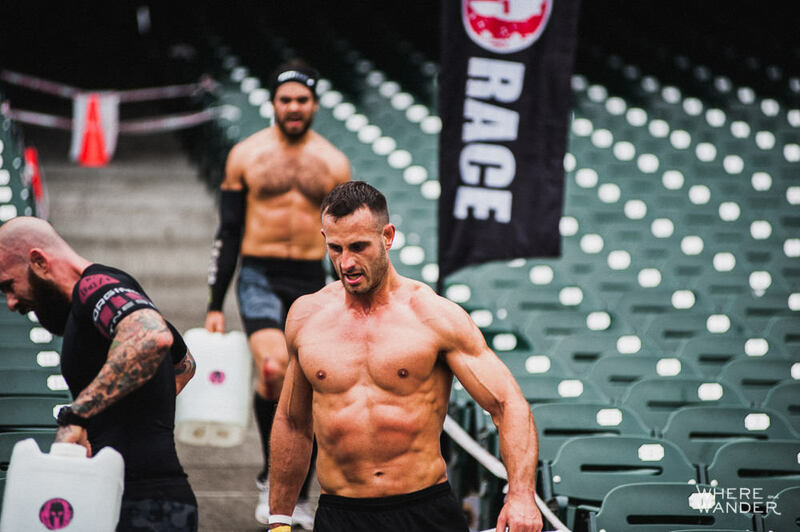 Also, a shout out to my younger brother Robert, who is challenging his limits and taking on whatever the Spartan Race puts in his way. 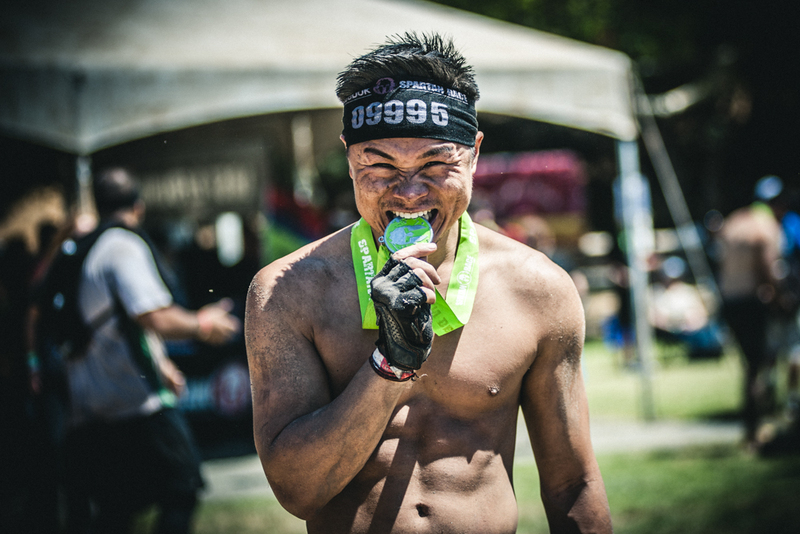 With the Spartan Beast next month in SoCal, he’ll earn his first Trifecta at 16.